Every one of us, at some point in our lives, have made a mistake, but not wanting to hurt anyone on purpose; this sometimes happens because we do not know how to stay calm and so we get carried away, which makes us say and do things that we regret later. Often, the lack of confidence or jealousy can make your partner feel bad. We can let them down and say certain things that may offend them. 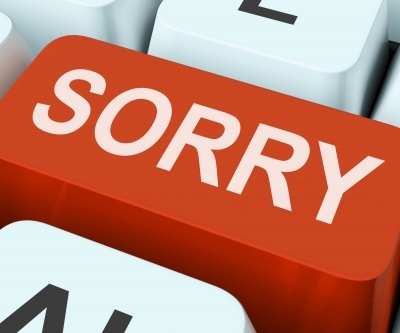 What you should do is know that you have done wrong and apologize as soon as possible. It is always good to talk about what happened so that the misunderstanding can be left in the past. In this article we will show you a series of texts that you will be able to use to apologize to your boyfriend. Choose the ones you like the most and consider most appropriate. We hope that you liked these texts of repentance. It is always good to recognize your mistakes and apologize to the one you hurt. If you liked this page you can help us by giving us a “like” on facebook, G+, twitter. Also if you want you can help this website by sending your apology texts for a boyfriend , and will be published, others friends will thank you .